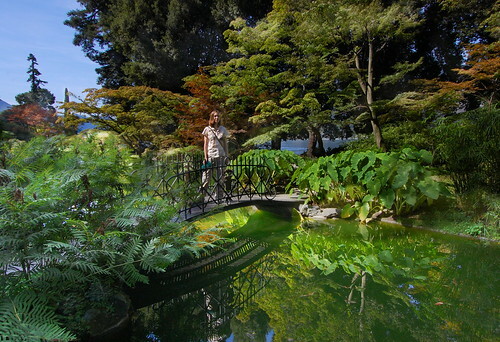 Japanese Garden at Villa Melzi, originally uploaded by Edward Faulkner. This came out of my list of photos from Italy that needed further editing. In this case I had a very high-contrast scene and needed two exposures to cover it all. Eileen moved from one exposure to the next, but a careful blend gives a pretty acceptable result, unless you zoom in very close. Aligned with Hugin, blended with Gimp.